EDC Medic Kit Mystery Bag - Variety Of Medical Gear, $55 Value, Brand New Items, Great Gift Idea | BUDK.com - Knives & Swords At The Lowest Prices! We’ve got a great savings opportunity for you with this EDC Medic Kit Mystery Bag! 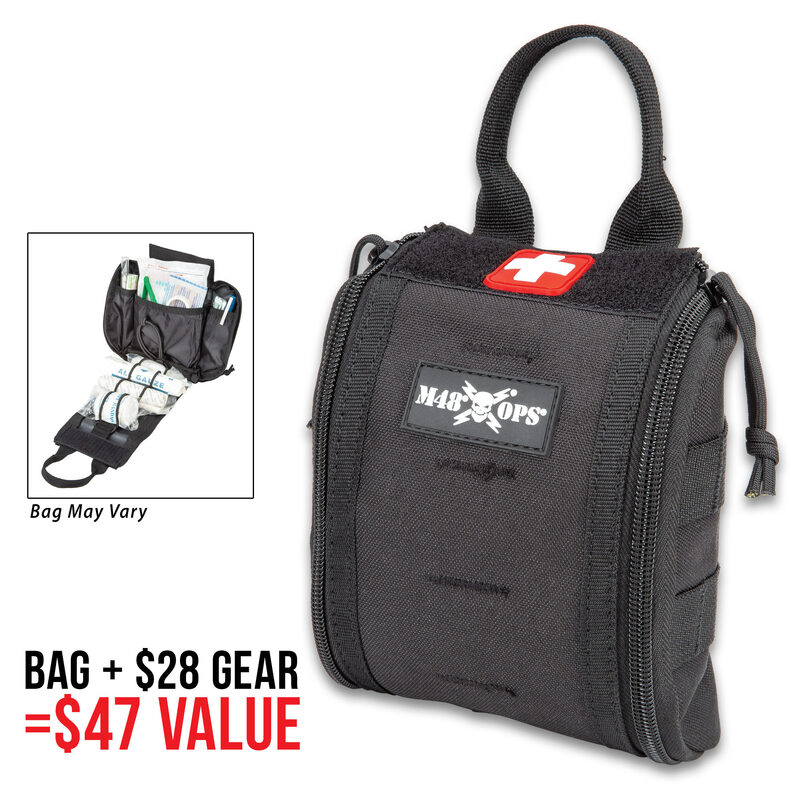 For less than $35, you’ll receive a combination of medical emergency must-haves in this rugged M48 tactical medic bag. These high-quality products are brand-new, never-opened and the value of this bag, plus, the assortment of medical emergency gear, is valued at $55. Unzipping the EDC Medic Kit Mystery Bag for the first time is like opening a present on Christmas morning! It’s a great all-occasion gift idea.